Due to many circumstances, Apple Watch freezes over Apple logo. This error came after updating the Apple Watch to watchOS 4 or watchOS 3. 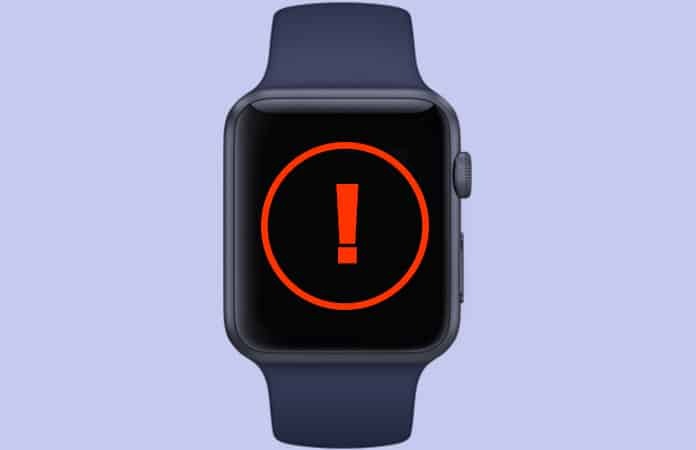 The Apple Watch will not power on, or if it does power on then you will get a screen with an Apple Logo and in some instances a red exclamation mark shows up on the screen. So if your Apple Watch stuck on Apple logo, then you can use the following method to fix it. The solution is compatible with the iWatch 38mm and 42mm. You will use iTunes to restore and repair the Apple Watch. A Computer with iTunes installed. You can use the above tools to restore, repair or downgrade your Apple Watch. Though you need to download the latest firmware for the Apple Watch. Make sure the system you’re using has the iTunes installed. However, before you begin you need to restore any OTA files from your Apple Watch. You have to ensure that you have all the relevant firmware that will help you to restore the Apple Watch. But if you don’t have any knowledge about the firmware then it is best to stay away from it. We can surely say that these tools, Apple Watch restore cable and iBus iWatch cable adapter, can be beneficial to a repair shop. As you can use them to fix an Apple Watch just in minutes. 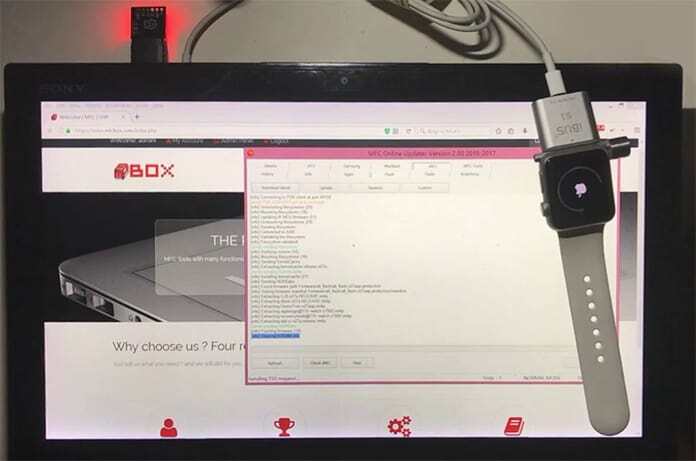 Apple Watch restore cable is used as a tool to run diagnostic on 42-38mm Apple Watch. It is used to update and then recover the watchOS. However, the cable is only supported by 6 pin, other than the 4 pin Apple Watch. You can use the cable to fix an Apple Watch stuck on Apple logo problem, restore your iWatch and downgrade from watchOS 4 to watchOS 3. To restore your Apple Watch firmware with iTunes, you need an iBus tool. If you don’t want to buy the tool, then you can visit the nearest Genius Bar to resolve the problem. You can check the guide from MFC Dongle on how to use the iBus tool. First, you need to identify the model number of your Apple Watch. After that, download the Apple Watch firmware file from ipsw.me. Let us know in the comments below if you’re facing the same problem of Apple Watch stuck on Apple Logo?